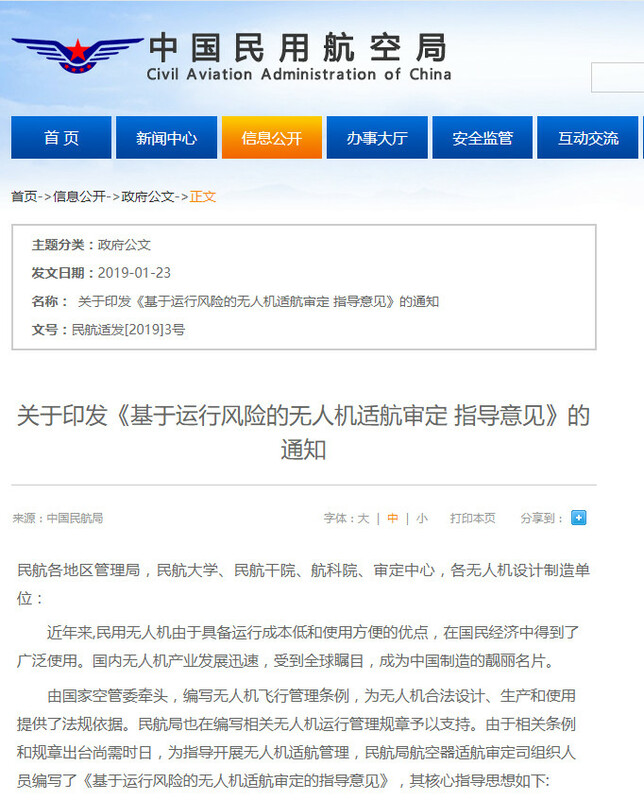 On January 23rd, 2019, the Airworthiness Department of Civil Aviation Administration of China (CAAC) issued the Guidance on UAV Airworthiness Certification based on Operational Risks (hereinafter abbreviated as “Guidance”), aiming at establishing a risk-based UAV airworthiness management system by the end of 2019. A total of five Chinese UAV companies were authorized as pilots to initiate and develop different UAV programs in exploring airworthiness standards and certification methods for UAVs for transporting cargos, inspecting powerlines and carrying passengers. EHang is a member of the CAAC specialized management group for civil UAVs, and also China’s first company on the world’s leading program for the piloting and testing of the cutting-edge passenger Autonomous Aerial Vehicles (AAV). 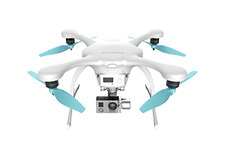 In recent years, the industry of civil UAVs is witnessing rapid growth in China. 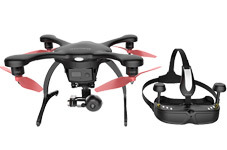 Going beyond aerial filming, the connection with 4G/5G network further expands various “UAV+” applications including logistics, smart city management, emergency rescue, urban air mobility, etc. Two days before the Guidance release on January 21st, China’s President Xi Jinping specifically emphasized the importance of accelerating the legislation process for UAV industry on the provincial and ministerial seminars. 1. Exploring a certification method by closely orchestrating hierarchical certifications with different levels of operational risks. 2. Exploring a certification process by extracting CAAC certification standards and regulations from industrial standards. 3. Exploring a certification mode with a more tolerant, open and service-oriented mind by encouraging UAV companies to jointly participate the airworthiness management through integrated information system. 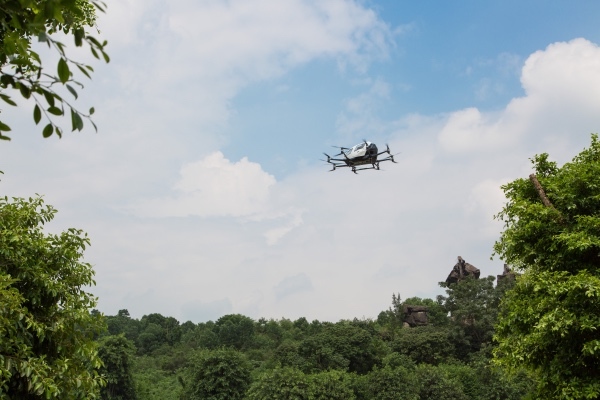 As the major program with CAAC authority attentions, EHang’s proprietarily-developed AAVs represent the key element shaping the future urban air mobility, an emerging and promising industry that is expected to provide new mobility method for humankind.